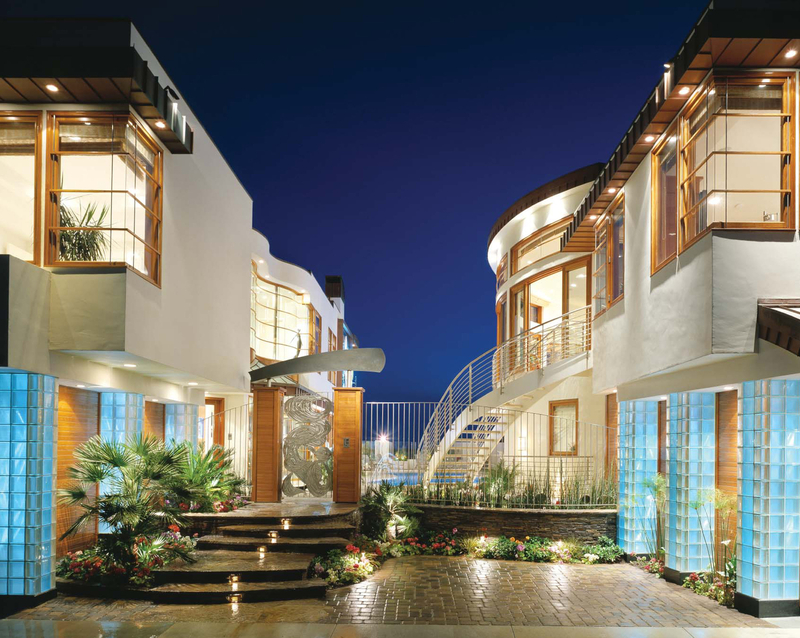 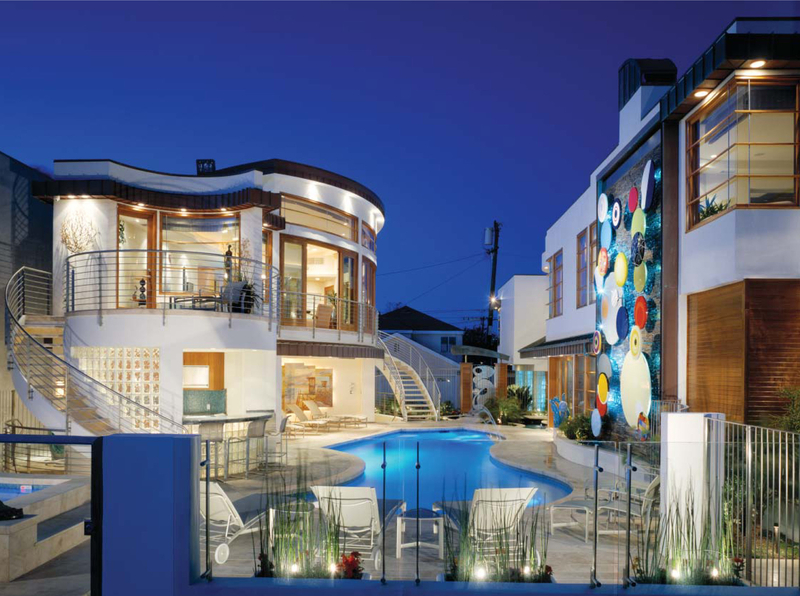 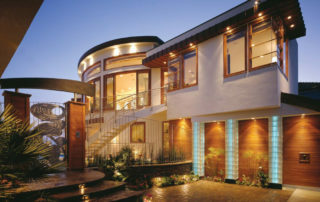 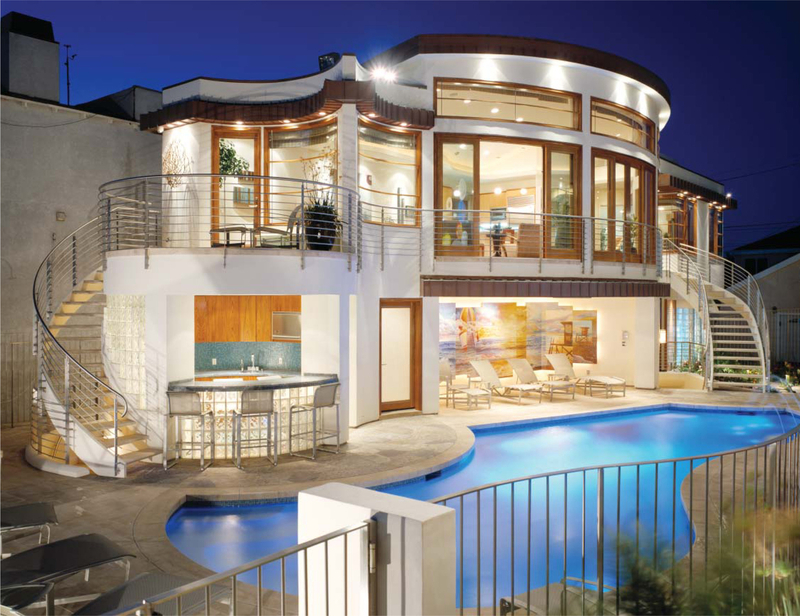 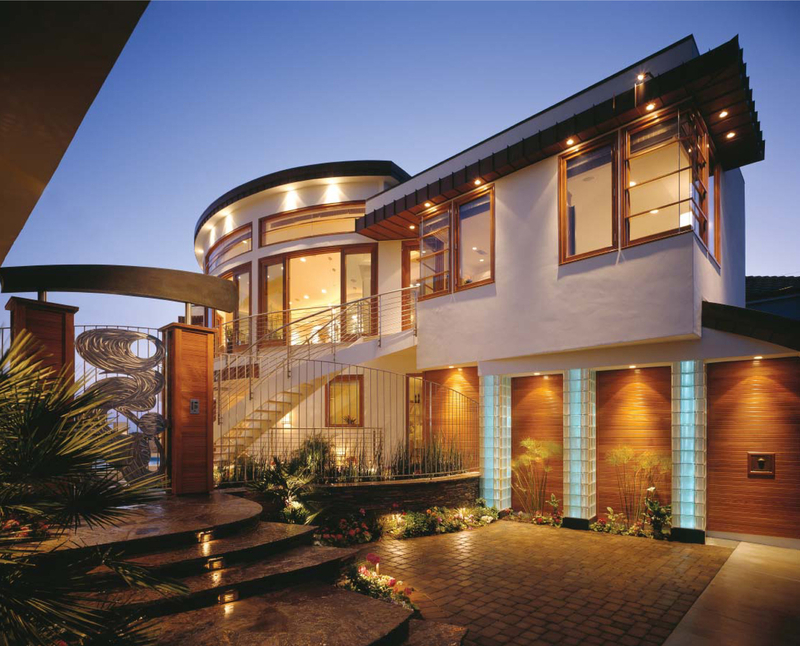 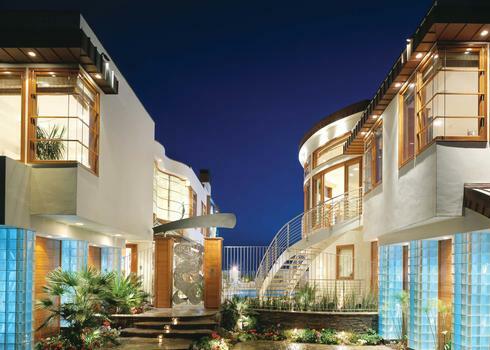 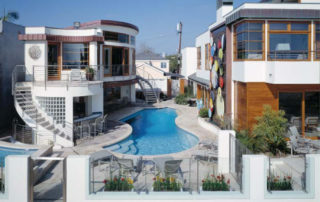 Located on the Newport Beach Peninsula, this custom residence is designed with clean lines of white smooth plaster, teak wood accents, an arched copper roof, fiber optic glass block columns and thick swirl art glass which all add to the contemporary exterior of this beach-front home. 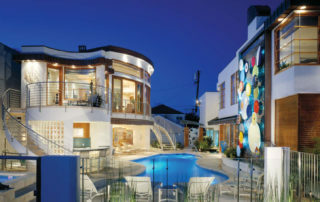 The openness of the combined great room, dining room and kitchen create a large comfortable entertainment area with direct beach access and unobstructed views. 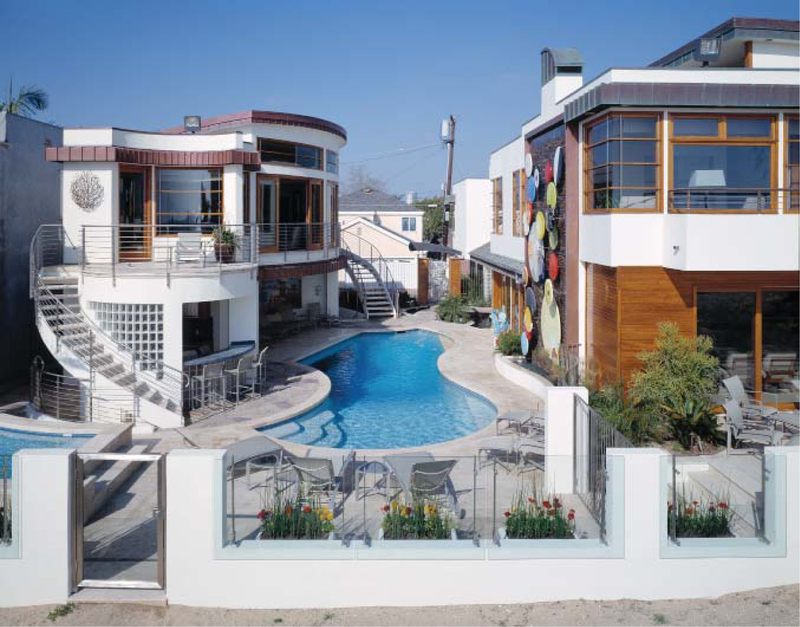 Finished with natural limestone flooring and white painted walls, the interiors reflect a museum setting perfect for the client’s contemporary art collection. 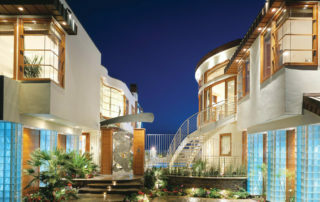 Set on two prime lots in the heart of Balboa Peninsula, this home is a masterful piece of contemporary architecture.